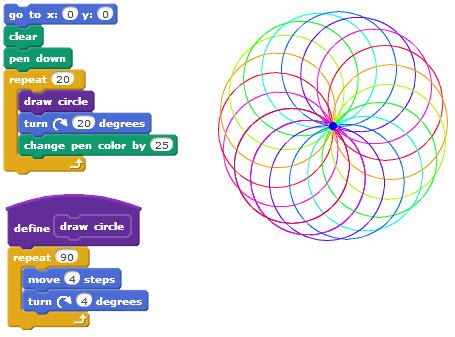 Let’s draw a square using the Scratch coding language. 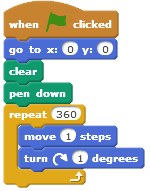 Go to scratch.mit.edu and click on Create. Compose the code below. Now edit and run the code to get this pattern. 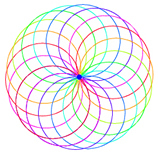 Enter this code to draw a circle. 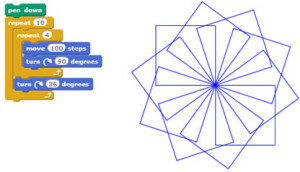 Enter this code to draw a circle faster. Let’s create a new block called . Edit the code below to draw a squares pattern instead.